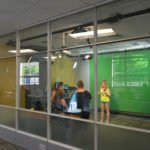 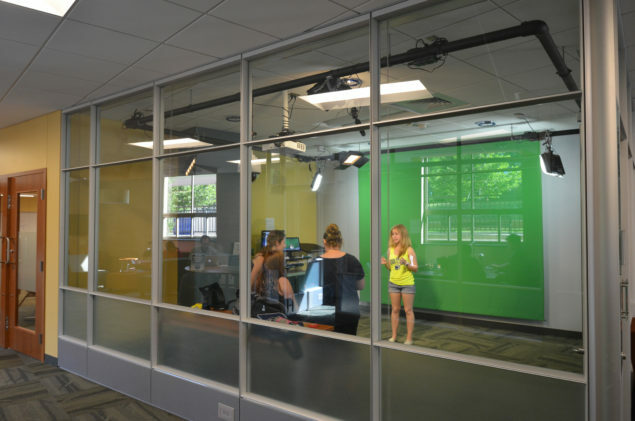 Audio booths, where students can record their own podcasts, and one-touch video production studios complete with green screens and three-point studio lighting together with digital video editing studios and post-production viewing rooms are provided. 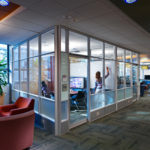 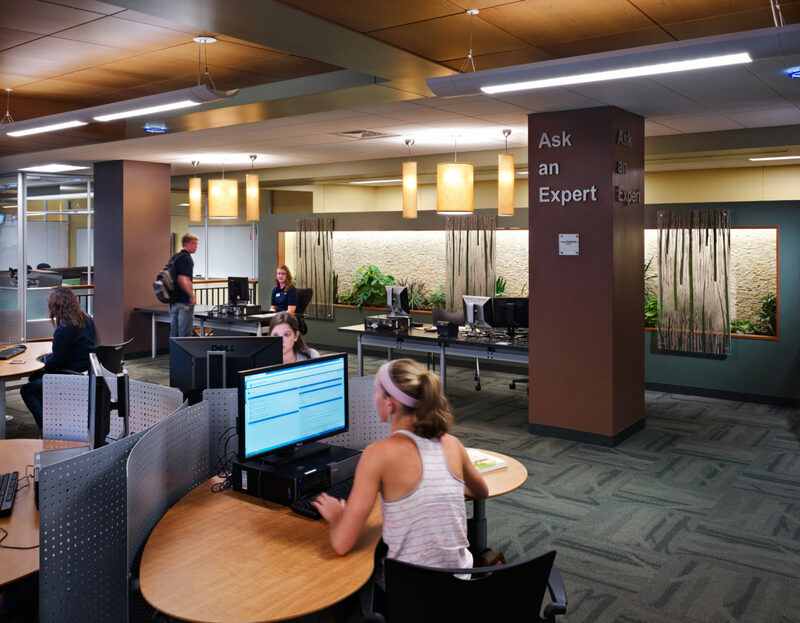 Meeting rooms are monitored with electronic signage connected to a web-based scheduling program that ensures rooms are used to their fullest potential. 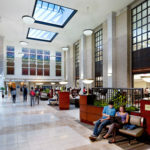 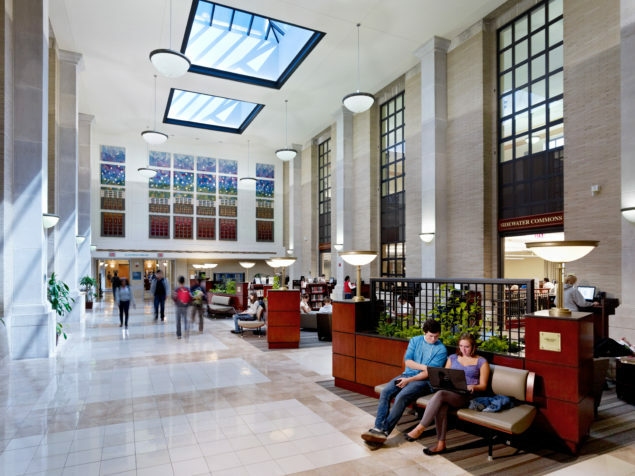 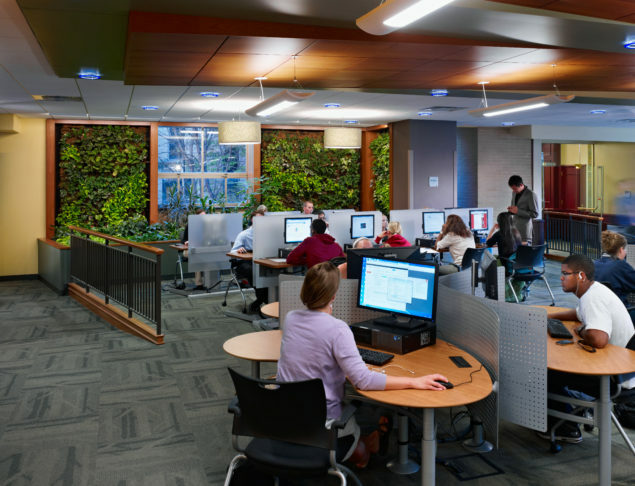 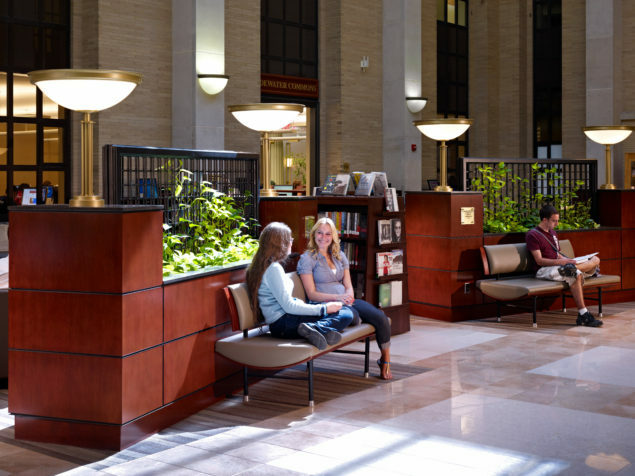 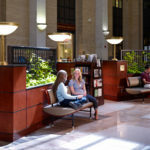 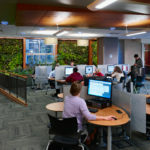 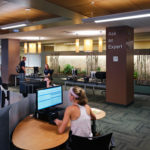 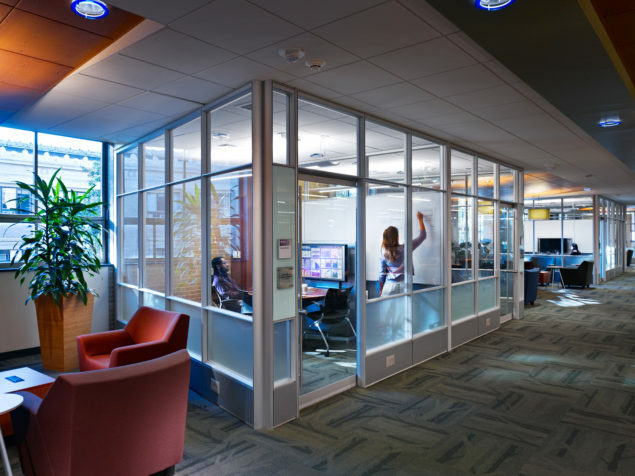 Other renovated spaces include: an adaptive technology suite, a leisure reading room, computer lab, auditorium with pre-function spaces, am access services suite, and the Franklin Atrium.